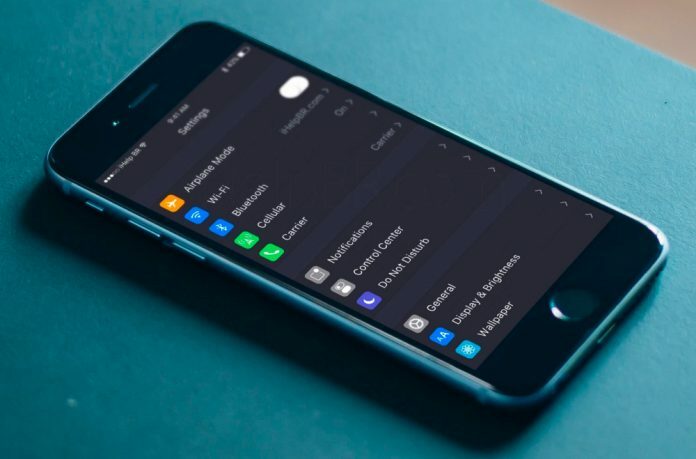 How To Download and Install Nebula for iOS Devices: In today’s world, everyone is using a smartphone and spending too much of time in the same. Study’s have shown that using the smartphone for a long duration causes stress in the eyes. In that case, every user looks for some features in their iPhone so that minimal stress is caused to eyes. Universal Night Mode and color customization can help you to minimize the consequences of using a smartphone for the long duration. Nebula can help you to overcome all sort of problem-related to night mode and color customization. 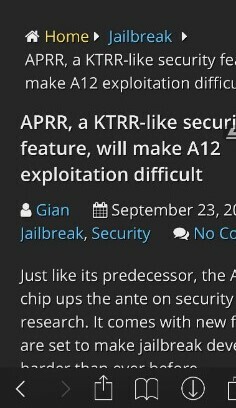 It is a tweak, which we are going to discuss among you all. We will be taking close look on How nebula works as well as its setup in your iPhone. So let’s get started. How To Download and Install Nebula for iOS Devices: Nebula Works just like NoctisXI. The reason behind the launch of Nebula was that NoctisXI doesn’t satisfy the major problem. In NoctisXI you can’t have every website in night mode but in Nebula, you can have almost every app in color mode. What follows is the screenshot of the Safari App after applying Nebula. It is developed by Tommy Muir and Squ1dd13. As you can see from the above picture, it blends really well with the various website. You will find no problem while using Nebula. If you want to disable it, you can do that anytime. Now we will be talking about how to setup Nebula in your iPhone device. 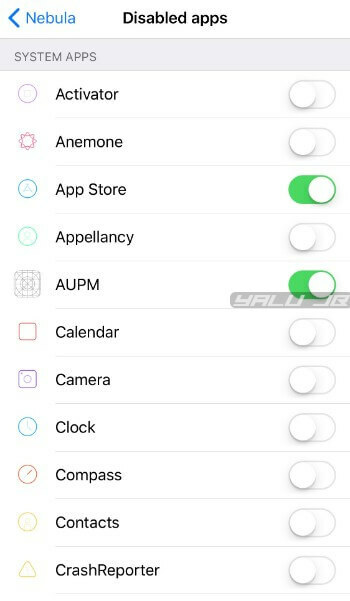 Enable (on) – Enables the functionality of the tweak. Haptic on Toggle (on) – Enables haptic feedback whenever you toggle night mode on/off. This toggle is available only in Safari, not other browsers or apps. Use Safari UI Darkmode (on) – Enables the stock dark mode interface of Safari. Use this option if your default browser is Safari. Use Chrome UI Darkmode (on) – Enables the stock dark mode interface of Chrome. Use this option if your default browser is Google Chrome. Background Color (#262626) – Defines the background color value. Remember, the default color values are just fine and should work well with all kinds of websites. Don’t alter them unless you know what you are doing. Text Color (#EDEDED) – Defines the text color value. Disabled in SpringBoard (on) – Disables night mode on Springboard. 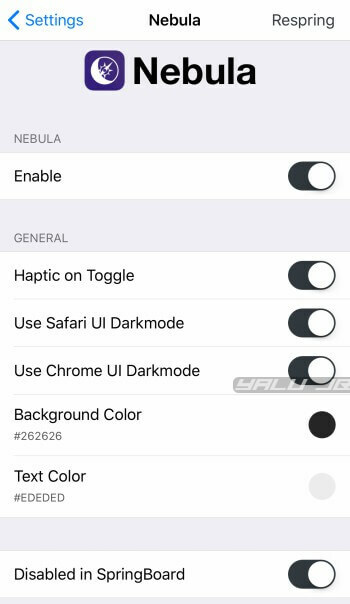 Enable this option if you use tweaks like Xen HTML or LockHTML since these tweaks use HTML widgets, which can conflict with Nebula’s night mode. If you want that for a particular website Nebula should not work. You have that option too to easily make the website blacklist by easily toggle it off. If you want to disable Nebula for some mobile application you can easily do that with one of the features of Nebula which lets you blacklist some mobile application. Web pages load with the default color theme before going dark. Some users are reporting that menus aren’t displayed correctly or visible on certain websites. Website blacklist isn’t working in version 1.0.0.